Thanks for inquiring about our beautiful luxury vacation homes for rent. Just complete the form below and we’ll have one of our representatives contact you to follow-up and answer any remaining questions. We welcome group reservations. We can provide luxury vacation rentals for individual reservations as well as help you find another vacation home close by if you are traveling with other groups/families/friends/relatives and want to be close to each other or in the same complex. Just let us know. Click here to review our Rental Policies and Payment Options. 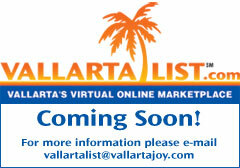 How did you hear about VallartaJoySM Rentals?